If you’ve owned a holiday home for some time at Golden Gate Holiday Centre you may be aware that you can rent your caravan out at times when you are not using it. However, if you are a new owner you may be wondering how you can advertise your holiday home without it costing you a fortune. Golden Gate Caravan Hire – let us know the dates when you won’t be using your caravan and we will let you know if we have any enquiries for rental. Please ask for information about Golden Gate Caravan Hire services when you are next on site, call us on 01745 833 048 or contact us using our web form. 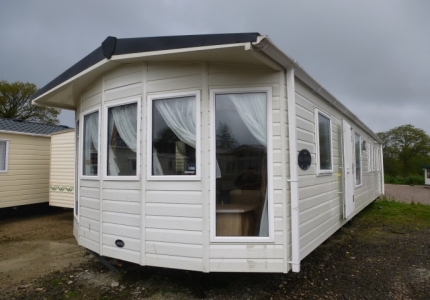 Rent My Caravan – this is a high traffic caravan rental portal on which you can advertise your caravan free for a year provided you register it before 31st December 2015. When you register your holiday home, Rent My Caravan will provide you with your own webpage on which you can upload photos and details. You’ll also have a reservations calendar so that you can keep track of your bookings and potential renters know at a glance on which dates your caravan is available for hire. Renters contact you directly. The advantage of registering on this caravan rental portal is that the site promotes you holiday home on social media such as Facebook, Twitter, Pinterest and Google+. In addition, if your photos are good they may make a slide show video from your photos and upload to Youtube. The video will also be shared among the social media platforms. Card on Supermarket Notice Boards – This is an inexpensive way of advertising and can include placing a card in shop windows but it is fairly ‘hit and miss’. You are depending on someone seeing the card who might be thinking about a holiday sometime in the future or specifically Golden Gate caravan hire. There is every possibility you might get the odd booking from this method but if you are looking for maximum rental capacity this method alone isn’t going to work. The same applies to staff notice boards because there will only be a few people who see it. Caravan Hire Golden Gate Towyn Notice – you can place a notice in your caravan window so that people passing will know it’s for hire. Again, this limits your rentals to people already on the park who may consider your caravan for their next holiday or weekend break. Your neighbours may recommend your holiday home to their friends which would be great, but you will still be limited to how many friends they have who want to take caravan holidays. Ebay – There are a number of caravans for hire on Ebay and there is no doubt that the site gets a lot of traffic. However, you need to work out how much commission you will be charged if you make rentals through the site. Most people rent their caravans out to cover their site and maintenance fees, so make sure the commission isn’t going to eat into your income too much. For advice or more information contact our Caravan Hire Golden Gate Towyn Team who will be happy to share their extensive knowledge of the caravan rental market.